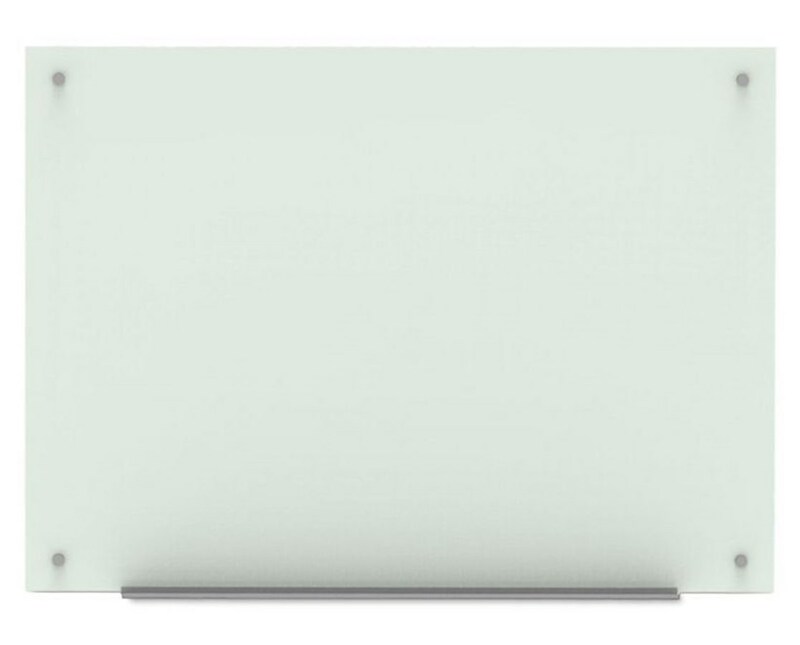 Magnetic surface for hanging notes, etc. 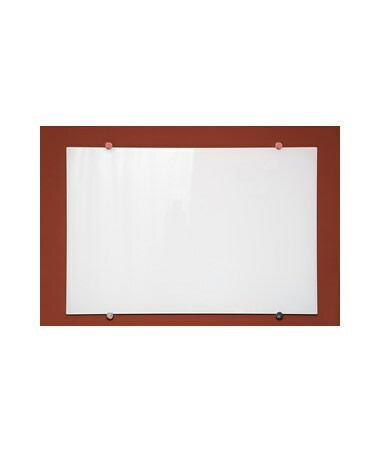 The Luxor Wall-Mounted Magnetic Glass Board is a multi-functional presentation board that doubles as a bulletin board. 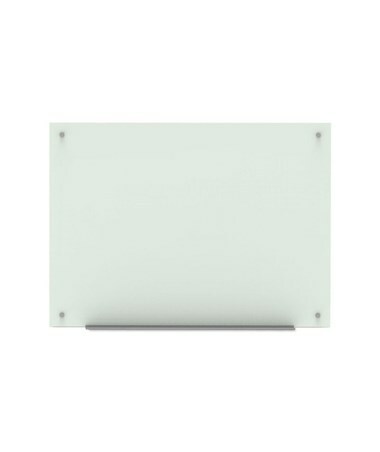 Made for use with wet and dry erase markers, it also allows hanging of notes, documents, and more with its magnetic surface. 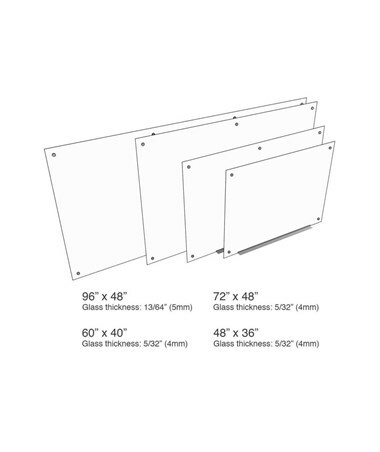 It features a sleek, frameless design and comes in four different sizes—48"W x 36"H, 60"W x 40"H, 72"W x 48"H, and 96"W x 48"H—to fit any office, classroom, or conference area. 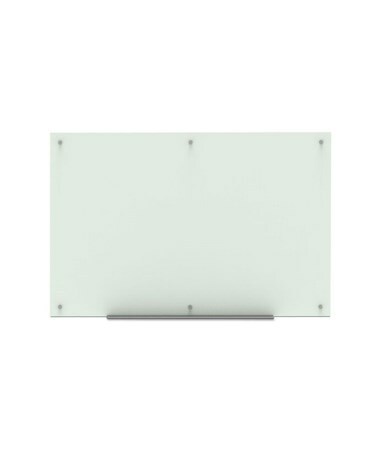 This magnetic glass board by Luxor is constructed with four-millimeter or five-millimeter (96"W x 48"H model) thick tempered glass providing superior durability that resists stains and ghosting. 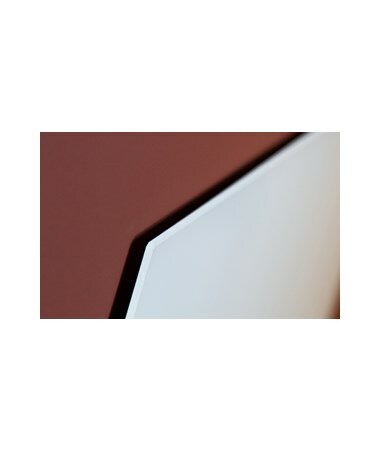 It is equipped with stainless steel mounting pucks and an aluminum marker tray. It also includes a dry erase marker, an eraser, two magnets, and mounting hardware. 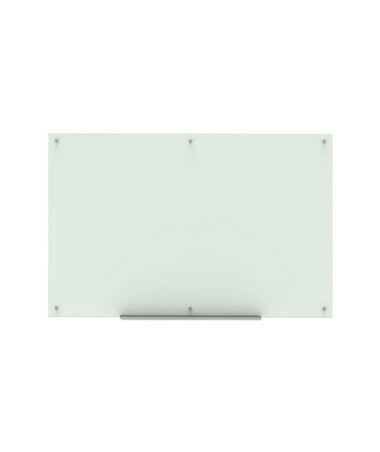 The Luxor Wall-Mounted Magnetic Glass Board is securely packaged meeting ISTA 3A packaging standards to ensure safe and damage-free transport. 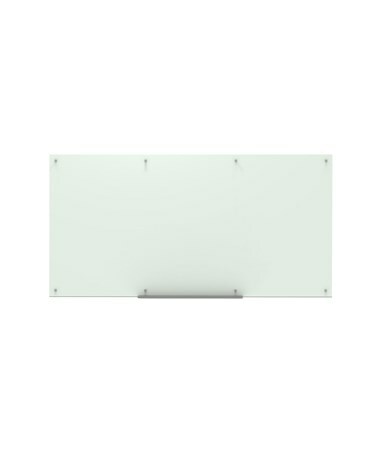 The Luxor Wall-Mounted Magnetic Glass Board comes in four different sizes to provide flexibility. Please select your preference from the menu above.